Sheesham, or scientifically known as Dalbergia Sissoo, the mostly famous for being used in making furniture. It is the most useful timber source in India. Found throughout the sub-Himalayan region, from the Indus to Assam. Sheesham, Shishan, Shisham, Sissoo or Sisu, the tree is also found in many parts of India, especially in the Punjab, Uttar Pradesh, West Bengal and Assam. Large quantities of the Sheesham timber are available from Uttar Pradesh and the Punjab. •	The wood is hard with a uniform and medium coarse texture. 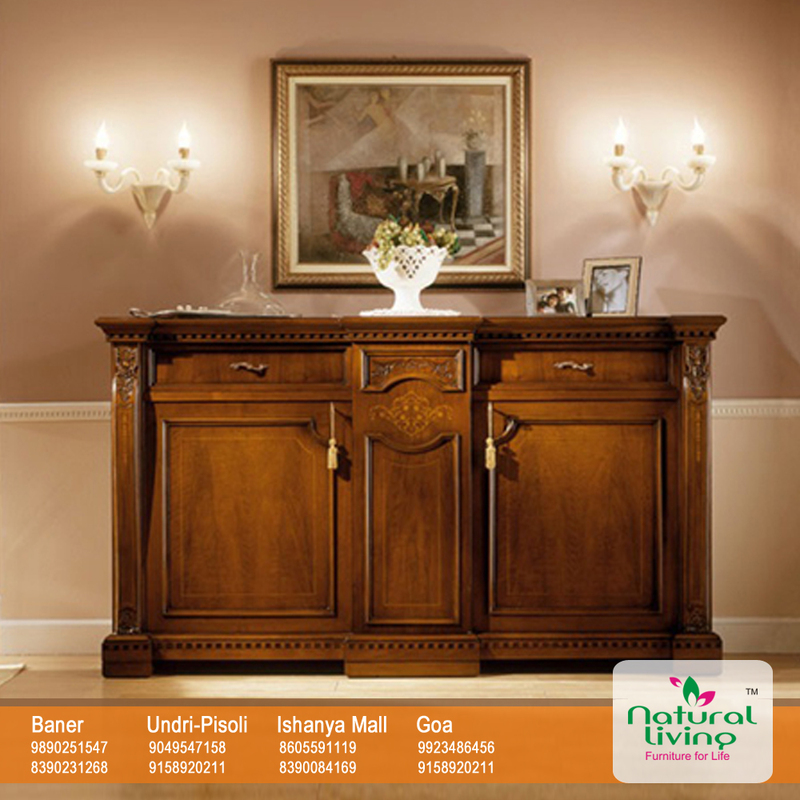 It has a good natural resistance to decay and is considered to be a popular carving and engraving wood in India. •	Sheesham lends itself perfectly to the cabinet making industry as it seasons well and does not warp or split. •	It is extremely durable and is one of the timbers least susceptible to dry-wood termites. The wood offers resistance to sawing and cutting but is excellent for turnery, takes a good polish and finishes to a smooth surface. •	Each piece of Sheesham furniture will have a unique colouring, thanks to the well defined grain of the wood, which can be brought to a fine finish by hand waxing. •	Sheesham furniture often features hand forged wrought iron work, known as Jali ironwork. •	As well as high quality furniture, Sheesham is also used for marine and aircraft grade plywood, charcoal for heating and cooking, musical instruments, ornamental turnery, carving, engraving, tool handles and sporting goods. •	Its root wood is used for tobacco pipes. In village industry Dalbergia sissoo (sheesham) is popular for doors and windows. Sheesham makes the perfect space for Antique Furniture. •	The wood takes a good polish and finishes to a smooth lustre. The wood has a rich chestnut colour and is ideally suited for making furniture due to its hard nature and close grain that polishes well and finishes to a smooth surface. As a natural material each piece of Sheesham timber has individual markings and characteristics resulting in every item of furniture being totally unique. It is strong, durable and beautiful.If you want a smooth finished wood with natural marking in a chestnut colour, sheesham wood should be your choice.You’ll be pleased with the life you’ll get with them, so you can enjoy them for decades. This entry was posted in Hardwood Furniture, Rosewood Furniture and tagged Antique Furniture, Assam, Benefits, Dalbergia Sissoo, Furniture, Furniture Store, Furniture Store in Pune, India, Natural Living, Sheesham, Uttar Pradesh, West Bengal, Wood, Wooden Furniture, Wooden Furniture in Pune. Bookmark the permalink.